Are people walking away from you the moment you open your mouth? Do your dates suddenly have to call or text their friends when you lean in for a good night kiss? Do your co-workers choose to stand rather than occupy the seat next to you during company meetings? If everyone around you seems to not want to get too close to you, there is probably something wrong — not with them, but with you. You likely have bad breath, and you just have not noticed it. There are many things that bring about bad breath. The number one cause is poor oral hygiene. If you do not brush your teeth or floss as often as recommended, you are allowing bacteria to accumulate inside your mouth, give off terrible odor, and eventually, also do damage to your gums and teeth. The kinds of foods and drinks that you regularly consume also affect your breath. If you eat onions or garlic, and drink alcohol or coffee all the time, their strong flavors and smells can contribute to bad breath. Smoking also causes bad breath, as the elements contained in cigarettes, cigars, and others not only stain your teeth and irritate your gums, but also spoil your breath. 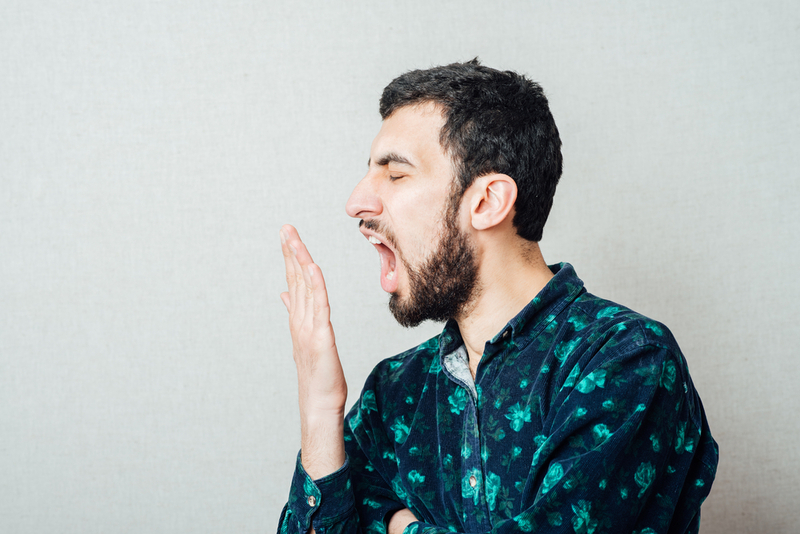 What should you do to get rid of bad breath? 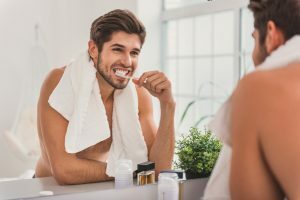 Before heading out in the morning and before going to bed at night, you should make sure to brush your teeth to get rid of food bits and debris that are stuck between your teeth and gums, and on your tongue. If you just leave them there, the bacteria can grow and cause that rotten smell coming from your mouth. Oftentimes, brushing is not able to remove food residue that has built up in hard-to-reach places. For this reason, you must also floss. Because you eat everyday, you should also floss everyday to immediately take care of food debris in between your teeth. If you wait too long in between flossing, the bacteria will only multiply and worsen the smell of your breath. Your teeth and gums are not the only parts that need to be cleaned when brushing. Your tongue also needs your attention. In case you did not know, the tongue can also collect food bits that can be a haven for bacteria if not eliminated as soon as possible. So, for a clean and healthy tongue, also brush it every time you brush your teeth. If you want, you can get a special tool specially made for cleaning the tongue, known as a tongue scraper, which is easily available at drugstores. In addition to brushing and flossing, you can also rinse your mouth with mouthwash to more effectively fight off the bacteria that causes bad breath. This product contains fluoride and other ingredients that also reduce cavities, whiten teeth, and protect you against gum disease. Medical professionals recommend that you should drink at least 8 glasses of water daily for the body to function as needed. By being hydrated, you are also ensuring that you are mouth is protected against dryness, which plays a huge factor in the growth of bacteria that triggers bad breath. If you still experience dry mouth despite consuming enough water each day, you should see a dentist right away, as there may be other reasons for your condition. Tobacco, cigarettes, and the likes contain nicotine and other things that are harmful to the body. They can not only put you at risk of mouth dryness, tooth decay, tooth and gum stains, and foul breath, but they can also endanger you of lung cancer and other respiratory diseases. It is no secret that giving up smoking is a very long and difficult journey, but you should really try hard for the good of your health, one step at a time. Snack on a stick of celery, a carrot, or other fruits and vegetables. 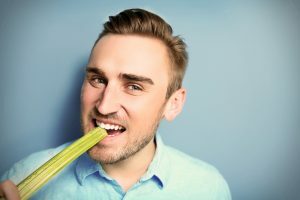 In between meals, you can eat small servings of fruits and vegetables, such as carrots and celery, to keep your saliva flow going and prevent your mouth from drying. The saliva in your mouth aids in getting rid of the bacteria that thrive in the teeth, gums, and tongue and cause the unpleasant smell of your breath. Munch on some sugarless gum or candy. If your mouth is not producing enough saliva, your breath tends to smell bad. To fix this, you can chew sugarless gum or sugarless candy while you are on your way to work, in front of the computer, or just going on with your day-to-day routine. Doing so stimulates saliva production, which helps wash away the bacteria and food bits that are causing your bad breath. If you do not eat breakfast, lunch, or dinner, the acids that are anticipating food to be digested are left with nothing to work on. As a result, they are just there, building up, and creating bad odor that eventually rises up and gets out of your body through your mouth. Thus, to prevent this from happening, eat. If you are trying to lose weight, you can prepare smaller meal portions to have consistent supply of food for your body throughout the day, and not leave it with nothing for several hours longer than it should. If your bad breath problem continues, despite you trying all the tips you find on the internet, you should see a dentist right away. Maybe, it is caused by something that is not easily resolved by making changes in your oral hygiene habits and practices. A dentist should be able to get to the root of the problem, and prescribe you the best treatment.